I hereby nickname this Froggy Bottom C-12 Deluxe "Meaty." It's an apt descriptor for this concert-bodied cannon, because it has more muscle than some dreadnoughts with twice the clarity and articulation. My goodness, its attack is a rare delight. 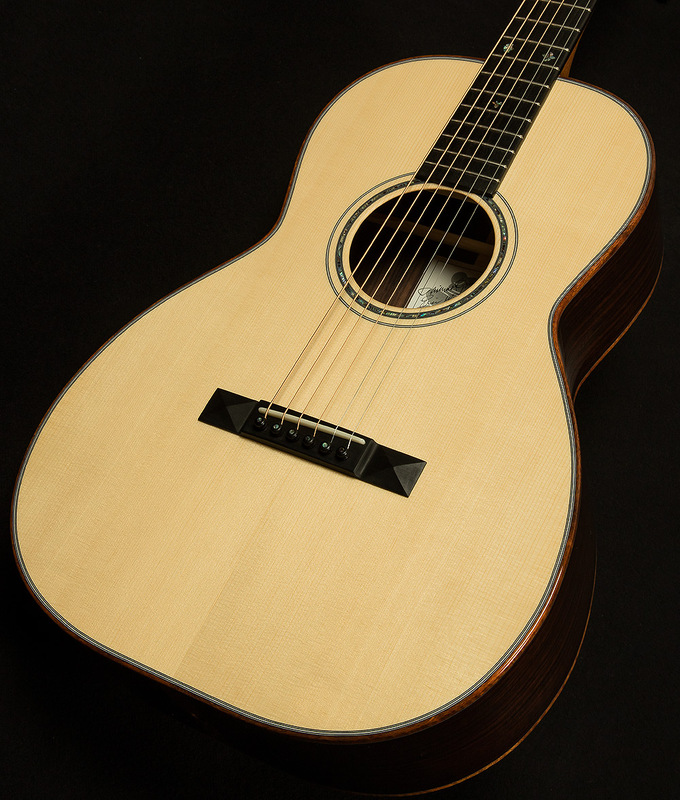 Whether you use your fingers or a pick, each note sounds sonorous and open-throated from the moment the sound leaps out of the soundhole. Such piano-like resonance is pleasant, but what separates this Froggy Bottom from the pack is how well it captures the nuances of your right-hand dynamics. This makes for quite an expressive playing experience. Now, on to talk of frequency response! First, let's talk lows. 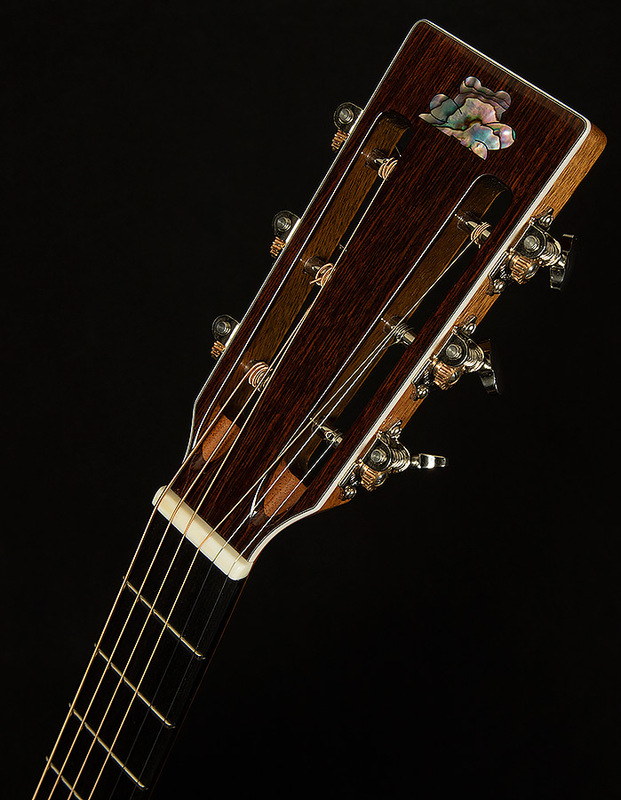 This guitar's low-end sits squarely in the Goldilocks Zone, a Highly Technical Guitar Writer Term for when a guitar has juuuuuuust the right amount of something. Here it means that the bass response is articulate and round, but pleasingly girthy. You can play an open A chord with the fifth of the chord (the low E string) in the bass and still hear every individual note even as the guitar rattles your ribcage--a Herculean feat for a small acoustic! Next on the docket: midrange. German Spruce is known for having more focus in the midrange, and the gorgeous cut of wood that formed this Froggy is no different. the midrange is broad and inviting, and it is a bit richer in overtones than a typical Froggy, but it is also remarkably clear. 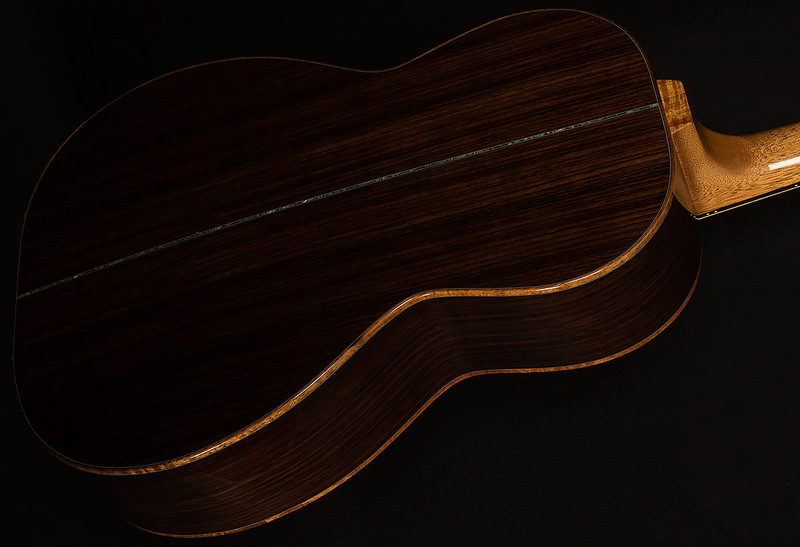 It helps this guitar walk the tight-rope between richness and articulation with exceptional grace by lending more focus to the rich, resonant rosewood back and sides. 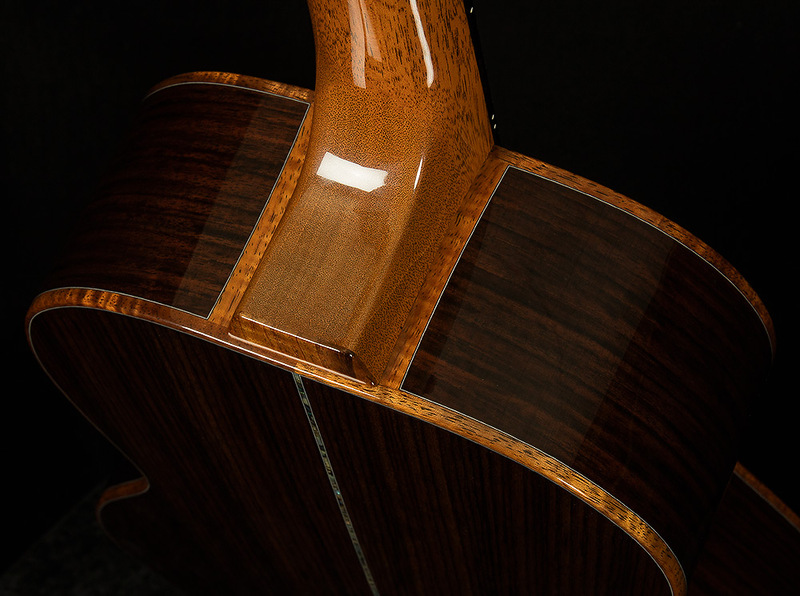 The rosewood back and sides also produce an elegant, crystalline high end. It's not necessarily sparkly or bright; rather, the sound of the trebles evokes more of a silvery, smooth vibe. Imagine a silver cloud of overtones floating up to your earholes and you'll get a rough idea of these inspiring trebles sound. This C-12's piano-like, detailed attack and its robust harmonic response makes it quite a versatile beast. 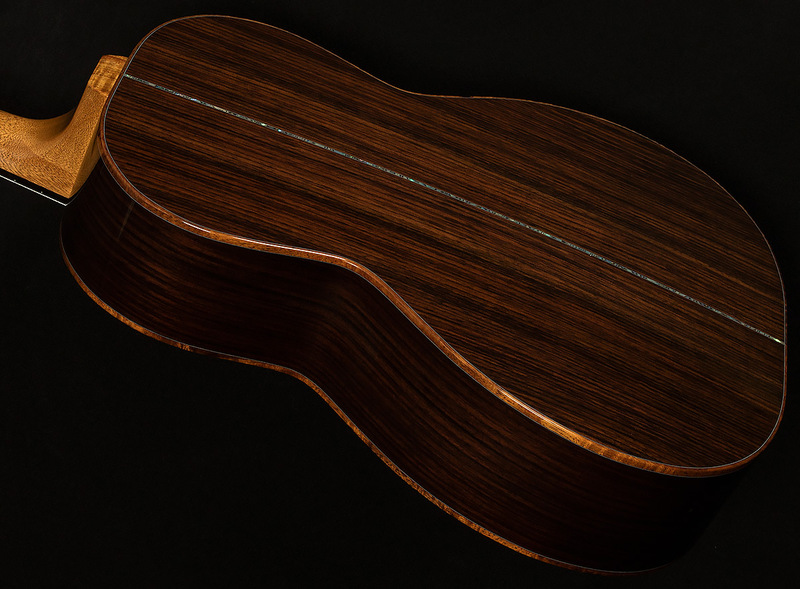 Its high headroom makes it a supremely satisfying strummer, while its rare blend of richness and string-to-string definition make it a world-beating fingerstyle axe. 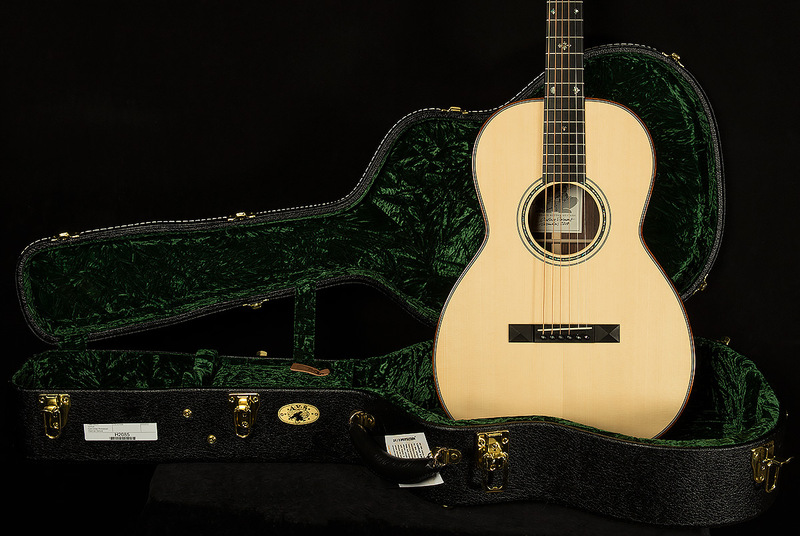 We are proud to offer such an incredible instrument to our exceptional customers, and we hope you find it as delightful and inspiring as we do!